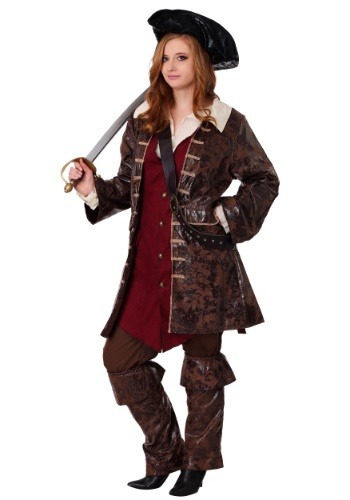 Plus Size Womens Caribbean Pirate Costume By: Fun Costumes for the 2015 Costume season. Sailing the seven seas as a pirate isn't easy. First, you need a compass (and magic compasses are rare!) and second you need a ship, preferably a fast one. You'll also need a crew, which will be easier to recruit while wearing our Womens Caribbean Pirate Costume. Because when you look this authentic and sea-worthy, you're sure to find some buccaneers willing to follow you to the edge of the Earth!